HRS and Reconverse. Building A Mobile Recruiting Strategy. 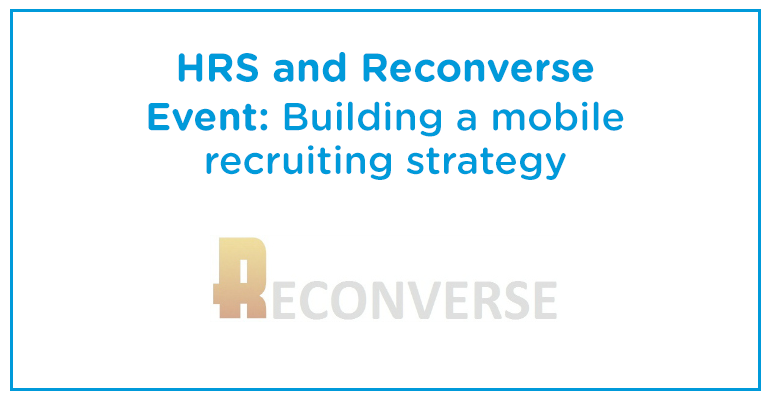 HRS are on the road again, we are heading to the latest Reconverse event to discuss building a mobile recruiting strategy with leaders in, in-house recruitment. As mentioned in our rise of the mobile recruiter blog, companies are increasingly requiring flexible solutions that allow full access to data regardless of location or the device being used. Being able to source and place candidates on the move may be the difference between sealing and loosing a deal. If you want find out how truly mobile recruitment software can benefit your organisation check out our dedicated mobile recruitment software page. If you have any questions or want to see HRS first hand through a 30 minute screen share request a call back from a recruitment tech specialist or book your demo today. For those of you heading to Reconverse on Wednesday we look forward to seeing you! For full details on the event or to book tickets head over to the Reconverse website: www.reconverse.com.